With S4 HANA on premise version 1709 SAP has been bringing lots of innovations in Sourcing and procurement line of business. 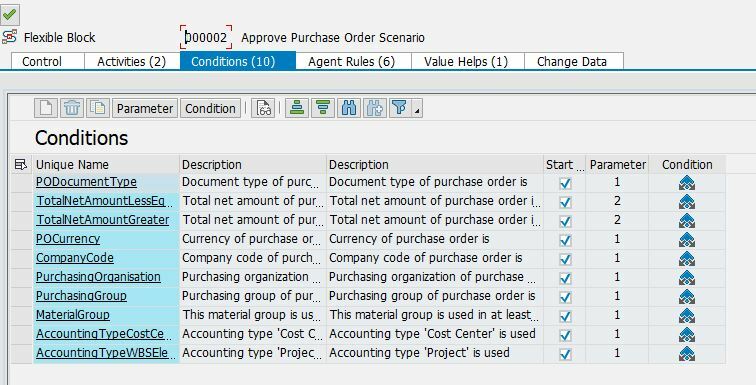 One of the most notable of them is Flexible workflow for Purchase requisition , Supplier invoice and Purchase order. Note: This blog is created with S4 HANA On premise version 1709 FPS01 in mind, If SAP releases more features in further release then i will update this blog with more details. In 1809 SAP has introduced some new Features as well as some of the limitations of 1709 are addressed.In this blog you will see those updates with #1809update. 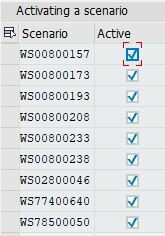 Has an option to specify under which condition should the workflow step be triggered / applicable? If you want parallel approval for any of the steps then you can do it using below option. 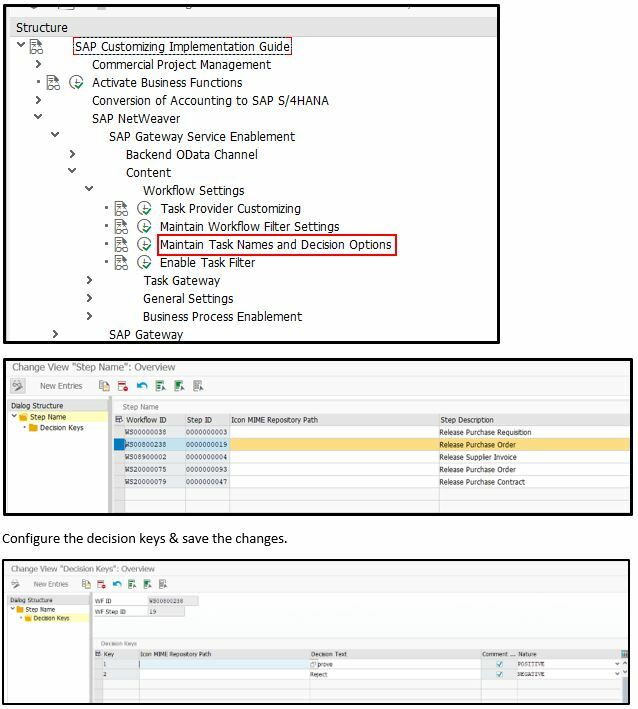 Scenario activation in SPRO node Sap Netweaver -> Application Server->Business Management->Sap Business Workflow->Flexible Workflow->Scenario Activation. 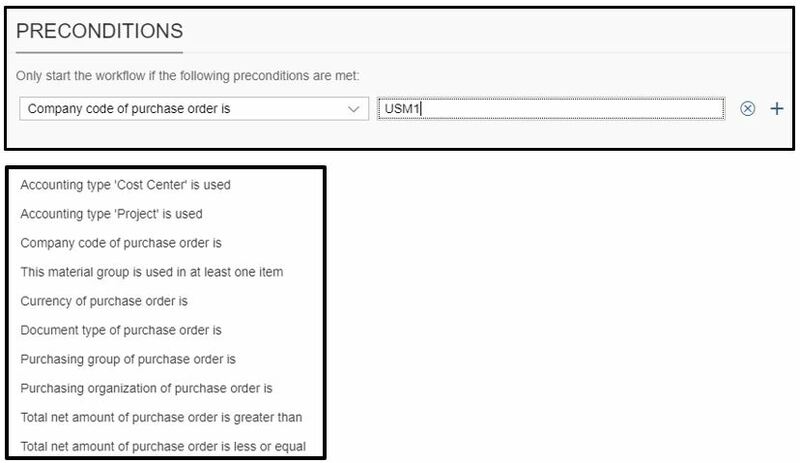 Ability to add own custom conditions for approver level / start conditions. Currently we can chose only from limited fields provided in workflow expression for each template. Possibility to edit an existing active version of Flexible workflow, instead of creating a copy of workflow scenario everytime. 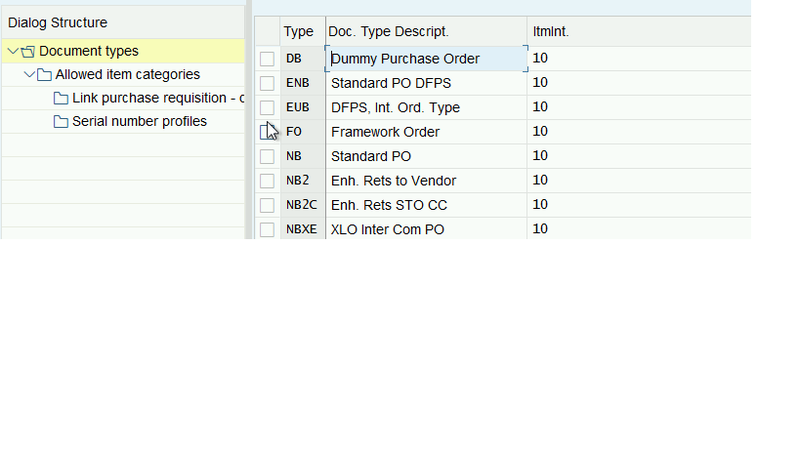 Provide an approval preview in Flexible workflow tab in ME23n tcode / Fiori app to see with which approver is the document waiting for approval – something like shown below :- #1809update: SAP has provided approval preview for purchase order in SAP GUI tcode ME23n however in Purchase Requisition , approval preview is still missing. 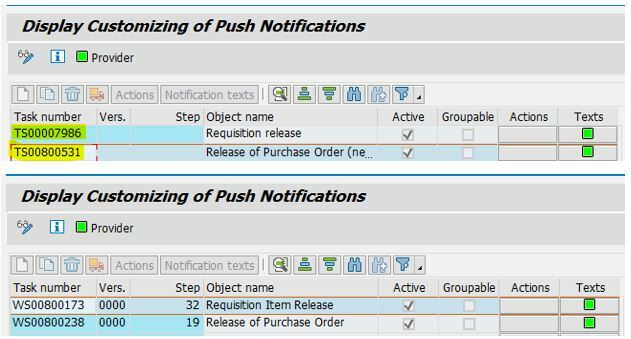 Provide a way to control the authorizations using flexible workflow like we have authorization objects M_BANF_FRG via the release code (FRGCD) for PR, M_EINK_FRG via the release group (FRGGR) and which release codes (FRGCO) for PO with release strategy. 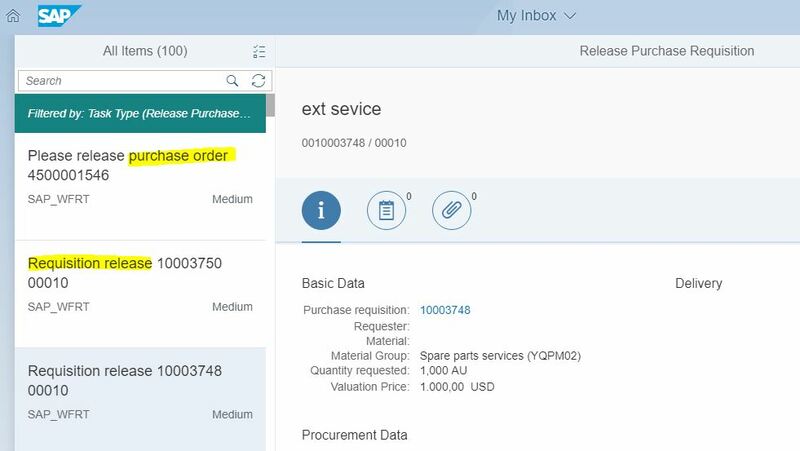 Stay tuned for more innovations in sourcing and procurement line of business in S4 HANA 1809 like procurement hub – central purchase requisitions, central purchase orders and central contract And many more. Please leave your comments to help me improve the content of the blog. 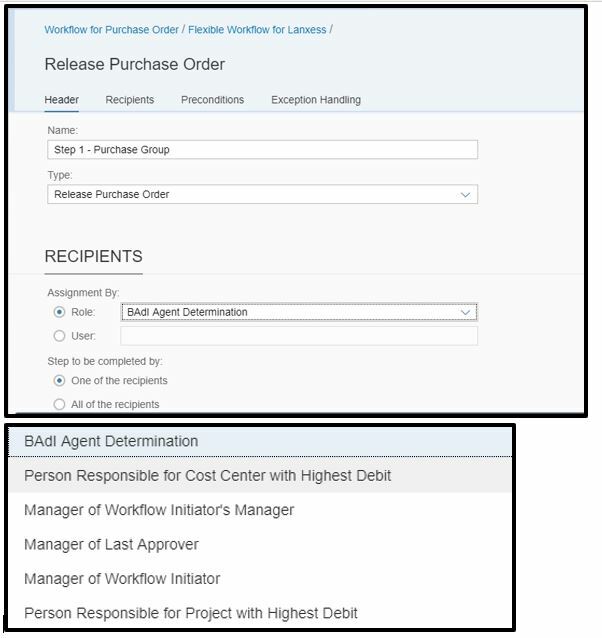 Have a custom workflow can that be used for managing workflows from Fiori. 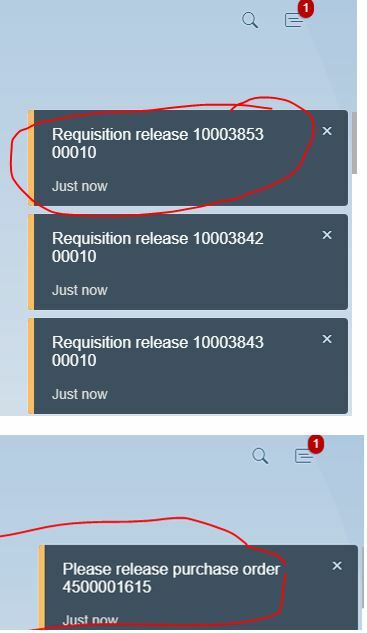 What are prerequisite for same on workflow end and Fiori end.As in Manage workflow we are able to see only standard workflows and not the custom created. Yes ist possible to implement custom flexible workflow using manage workflow fiori app, i have tried it myself and it works well. However you Need to understand How Flexible workflow works!!! thanks a lot for your acticle. What is the current status/update regarding the newest release 1809? Which points “What can be imporoved” are implemented/solved in 1809? In 1809 None of the Features in “what can be improved” are implemented yet. In fact i updated the blog with the other Features that i discoved that are also not still available in 1809. SAP MM role in business process is as follows: A business process in SAP is termed as “Module”. SAP Materials Management (MM) is a part of Logistics area and helps to manage the procurement activity of an organization from procurement. It supports all aspects of material management (planning, control etc). Thanks for the nice blog . In the section “What can be improved?” I have read this point . 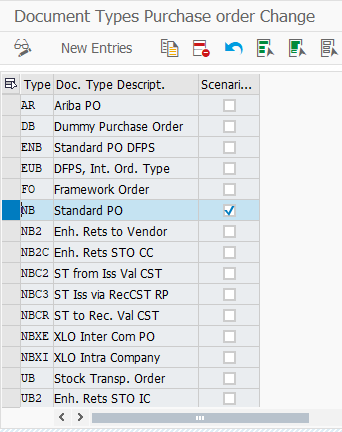 So far in 1809 i have not been able to add custom conditions in PR or PO standard flexible workflow. I had a similar requirement in 1809 and when i checked with SAP , i was told that adding a custom start condition in Standard PR / PO flexible workflow is not possible. I decided to copy the Standard template of PO/PR flexible workflow and i could add custom conditions. I am also having a similar requirement . Can you please guide me how and where did you do the changes in standard work flow(in a copied version) to consider other custom conditions as well? due to the fact that advanced PR not run into the flexbile WF we activated the “classic” release strategy. Is there any option that the PRs created in FIORI App also run into the release strategy? How can we handle advanced POs – can we manage this with flexible workflow? We have to use the advanced POs, because the App not allows to enter text information on header or item level. How should I understand Flexible workflow for PO and PR in relation to Release Strategy? Is Flexible workflow an alternative to release strategy? Can both be working same time in the system? ‘scenario based column ‘ not appear in our system as shoot below!! You can see it with t-code SWDD. Double click the navigation area and you will see it. It would be so great if you can point out the config was made on frond-end or back-end. I am struggling for this issue. We have hub deployment implemented, it would be so good if you can point out at “define scenario” part should be done in front-end (Gateway service) or back-end.